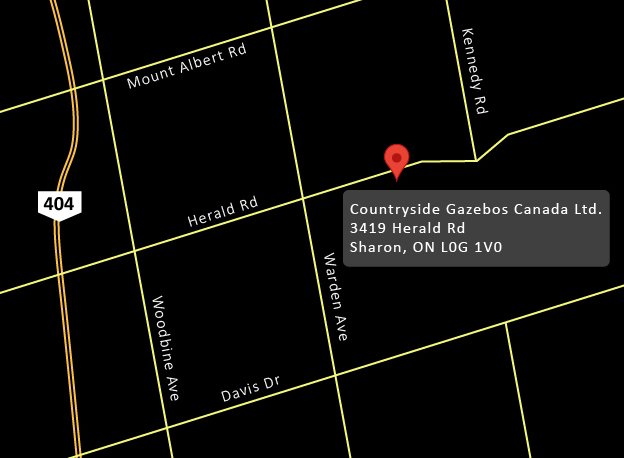 Are you looking to buy a gazebo in Oshawa? 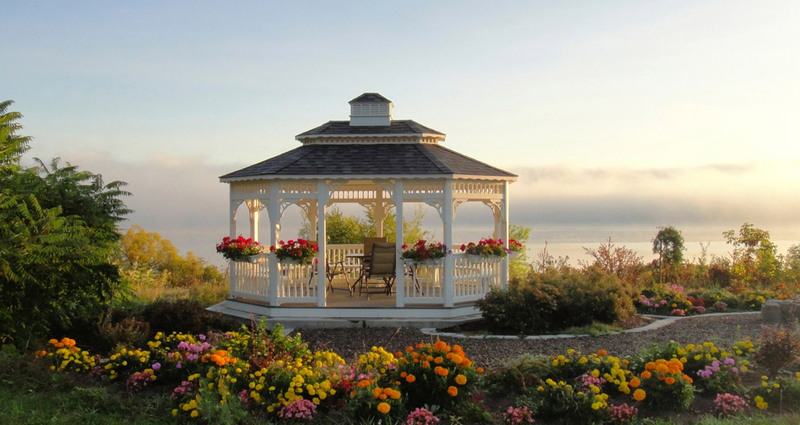 Let Countryside Gazebos Canada stimulate your mind, open your eyes and engage your senses with the beautiful range of available gazebos in Oshawa. Our carefully constructed gazebos come in easy to assemble kits (if you wish to install the gazebo yourself) or we can send out a crew to install the gazebo in Oshawa for you. We offer gazebos in pressure treated southern pine, light cedar, and tight knot cedar, all of which can also be vinyl clad for low maintenance. Our online visuals will give you creative ideas and allow you to choose the type of gazebo you would like, and our quoting system will allow you to get a quote on your perfect gazebo in Oshawa. If you have any questions or would prefer to speak to us directly you can contact us at 905-841-0612.